The New York Times is seen by many as the acme of traditional media success, which isn’t surprising — after all, it has hundreds of thousands of digital subscribers who are paying the paper $150 million or so a year, and it has launched some interesting new apps and services like The Upshot and NYT Premier. But to her credit, editor Jill Abramson is not satisfied, so she commissioned an “innovation report” led by Arthur Gregg Sulzberger, scion of the paper’s controlling shareholder, the Sulzberger family, to tell her what it needs to do differently. As a piece in Capital New York describes it, the original ambit of the Sulzberger team, launched last July, was to be a kind of skunk-works that would come up with digital projects. But partway through the process, Sulzberger suggested the thesis needed to be broadened, and that it should look at what the paper as a whole needs to be doing strategically in order to succeed. And what sort of moves does the report recommend? Among other things, it suggests that the newspaper needs a senior executive team that focuses specifically on audience engagement and development, as well as one focused on analytics, pointing out that “generations of editors had to guess what readers wanted; this is the first one with the ability to know if their guesses are correct.” In some ways, it’s a little depressing that one of the most prominent media entities in the U.S. doesn’t already have these things, but at least it wants to rectify that. The Abramson memo is blunt about the competitive threat that the paper’s inaction on these fronts has created: she says the Sulzberger report found that “our competitors are often taking our stories and advantaging themselves with our content on their platforms, even developing paid apps from stories that were ours originally” — something that is likely a reference to aggregation apps like Inside and Circa. She also said the newsroom needs to create “greater cooperation and harmonizing with our business side colleagues” around many of these challenges. 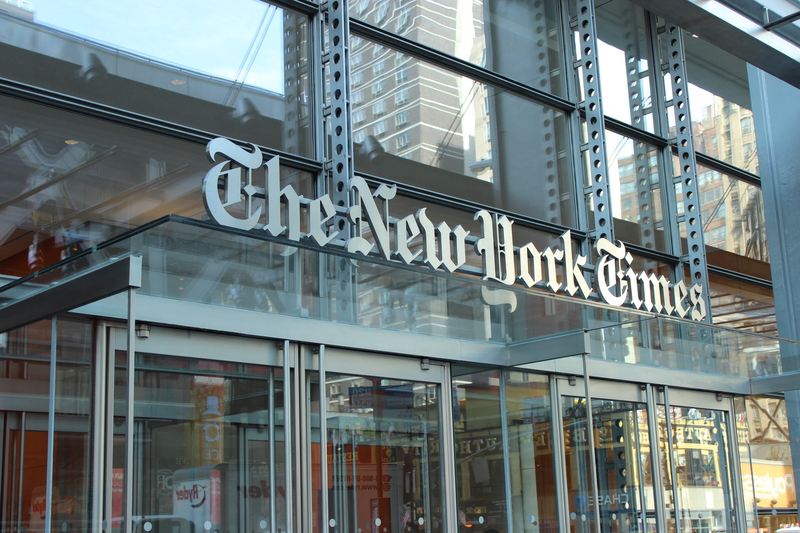 In the end, the major challenge facing the NYT is the same one that faces virtually every mainstream media entity: Can a traditional news outlet change not just the way it works but the actual newsroom and management culture that has persisted for decades, and focus enough energy on being digital first to make it work — while still being run by executives who rose to power within that traditional culture? Can the leopard change his or her spots? Fans of disruption guru and author Clay Christensen argue that attempts to blend a traditional newsroom and print-based management with a digital-first culture are almost inevitably doomed to fail, because the print side of the organization is unlikely to engage in what amounts to its own disruption. That’s why companies like Digital First Media have been so adamant about putting non-print executives in charge (although that hasn’t always worked out so well). It’s going to take a lot more than some re-shuffling of executive deck chairs, or the creation of “audience engagement teams” to make a real difference at the New York Times, or anywhere else for that matter. But at least it is a start. The Times faces another challenge: How to get rid of the mindset that everything not invented in-house must be rejected. Ideas are not monopoly of any organization. Nobody can believe that Time magazine does not have great creative minds. Yet its managing editor, Henry Grunwald, found an idea “intriguing” that I had sent him. He implemented it quite soon and saw the international circulation of the magazine double in a short period. The Economist, London, also adopted an idea that I submitted — though after many years — and its circulation increased many times. Some time ago, I offered a plan to the Publisher of The Times that would have not only blended print and digital sides but also created a new revenue stream. Nobody bothered to respond.